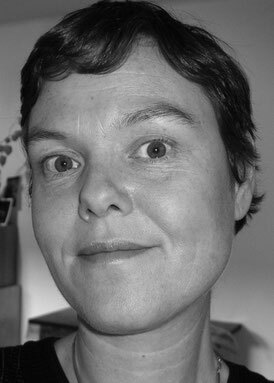 Hanne Lydia O. Figenschou (b. 1964, Trondheim) studied at the Art Academy in Trondheim, Norway, and Konstfack, University College of Arts, Crafts and Design in Stockholm, Sweden. She now lives and works in Oslo. Her works have been exhibited widely and are represented in private, public and corporate collections. She has received numerous grants and prizes and in 2015 she received one of the most prestigious grants for Norwegian artists, a ten-year grant from the Norwegian Arts Council. Thematically her works are within areas such as gender and identity through medias like drawing, text and video. She is fascinated by paradoxes, doubleness on different levels, socially, culturally and intimately. Her works have also for a numbers of years been a repetitive investigation on the self-portrait and how it plays an important role in art. By linking the theme to different projects, her works can be placed in a contemporary, political context with art historical references. Her drawings are in big scale, predominantly made with colored pencil on black paper. She works with poetry, publishing her own books, and video based on text. The texts constitute a prolongation of the visual works and move into the private space and reflect something more intimate and seemingly insignificant. Recent exhibitions and publications include: An Account of Predicted Estrangement, 29 poems published for the exhibition My mother was a feminist, The Drawing Center, Oslo. The _Key, Art space 10, Oslo. 11 July 1943, Trafo Kunsthall. Asker. Volatile Documents, 24 poems, published for the exhibition SELFIES, Bomuldfabriken Kunsthall, Arendal.